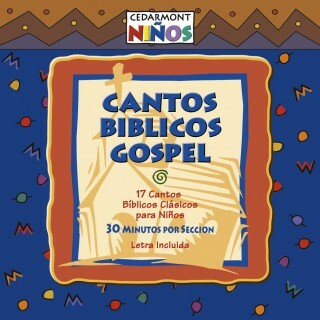 15 classic Bible Songs and Spirituals translated into Spanish and performed in an upbeat Gospel style. Lyrics and split-track versions are included for singalong. Live-action singalong video versions of all the songs on Cantos Biblicos Gospel (Spanish version of Gospel Bible Songs). DVD includes English and Spanish audio and split-track versions for singalong. NOTE: You may purchase a physical DVD or the complete DVD as a download. The download is compressed as mp4 (H.264) for optimal playback on computers and portable devices. The download contains only the Spanish version.